When we chose the name Advanced Tree Care, we did so for several reasons. It was an ideal name to signal our breadth and depth of experience in tree care—our capabilities to serve you and your trees. It also reflected our commitment to using the latest advances in technology in our business operations. Of course, technology evolves—and so do we, as we adopt new tools for efficiency, operations, and customer service. To tell you why technology is so important to us, we must start at the beginning. That story is about our founder and his vision for Advanced Tree Care. When Mike Bramucci started ATC, he knew his experience and knowledge could improve the tree care industry. Mike Bramucci started Advanced Tree Care in 2008 with only a pickup truck and a handful of tools in addition to his experience and vision. Mike had started his career at age 16 with a local tree care firm. By age 18, he’d moved up through its ranks and had also earned ISA certification. At that time, he was the youngest certified arborist in the state of Illinois. 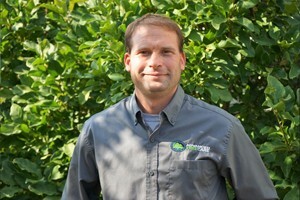 For the next ten years, Mike continued to gain experience as a team leader and perfect the art of tree care. By 2005, he was frustrated. Technology—for communications, operations, and other aspects of business and life—had advanced considerably, but the tree industry lagged behind. Mike encountered resistance to change as well. He knew there was a better, more efficient, more advanced way of doing business—and caring for trees. Mike felt the best way to pursue this vision was to found his own company. He sought to provide the best customer service by incorporating advances in technology and equipment. Technology would make running the business more efficient, meaning better customer service, better response times, and better tree care. By combining technology and a well-trained staff, Advanced Tree Care delivered for its customers from the beginning. Today, Advanced Tree Care serves two states with a combined fleet of 44 trucks and equipment. Its clients include over 10,000 residential customers and 12 government agencies. We’ve set the standard for controlling operating costs and passing savings along to you. To us, success means sustained commitment to our customers and to continual advances that prepare us to better serve you. We provide our certified arborists and staff with the most advanced tools and innovative services available, for an efficient and effective workflow from start to finish on each job. We work daily to beautify your landscaping and community. Advanced Tree Care isn’t just our name—it’s also our purpose!